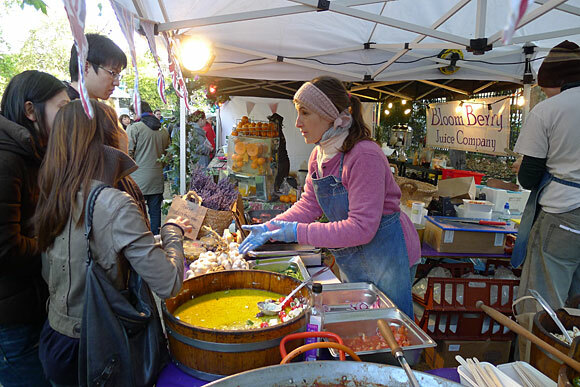 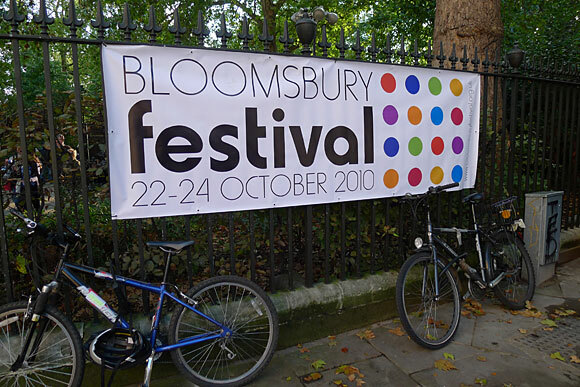 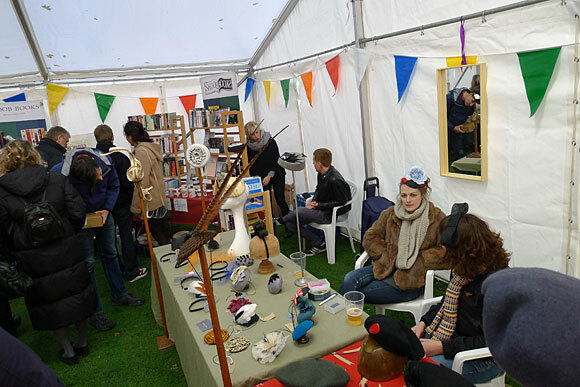 Designed to 'offer a taster of the amazing cultural life of this beautiful area of central London', the Bloomsbury Festival brings together people who live and work in the area over an Autumn weekend. 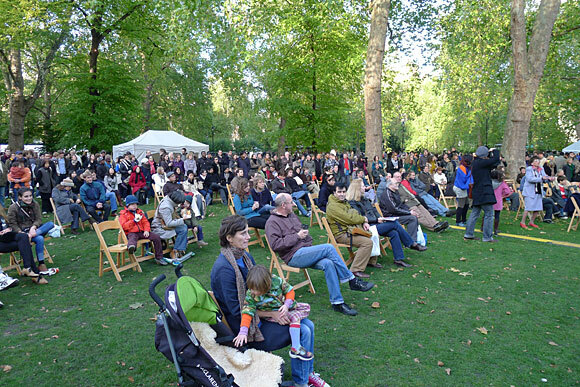 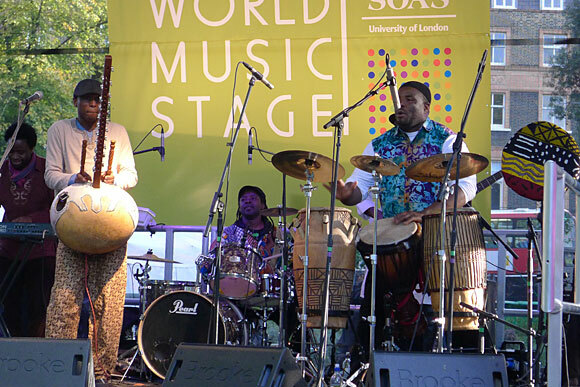 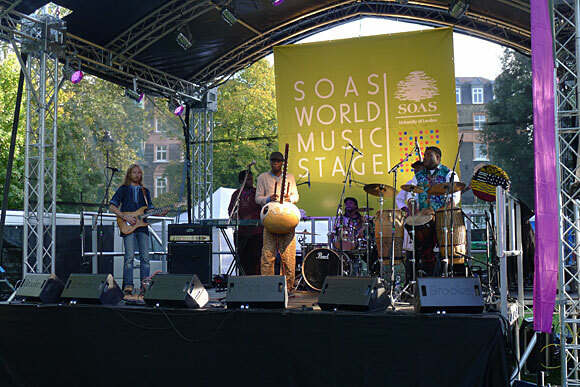 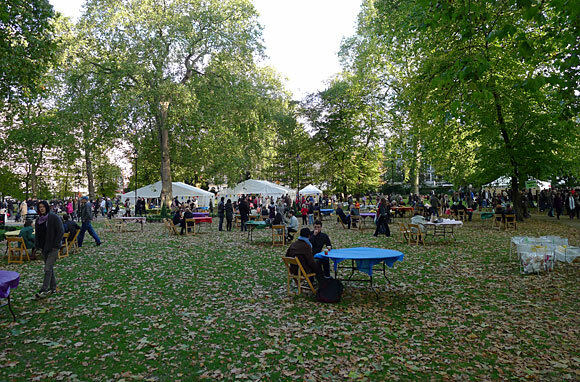 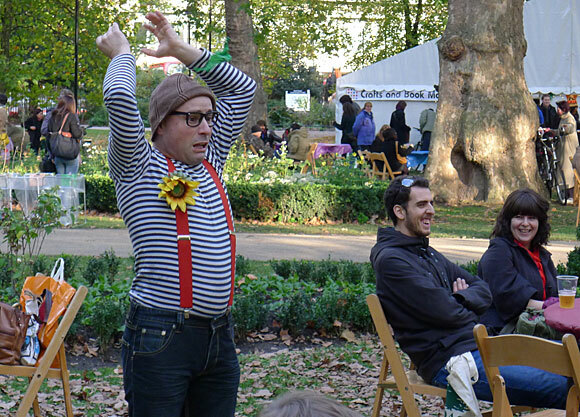 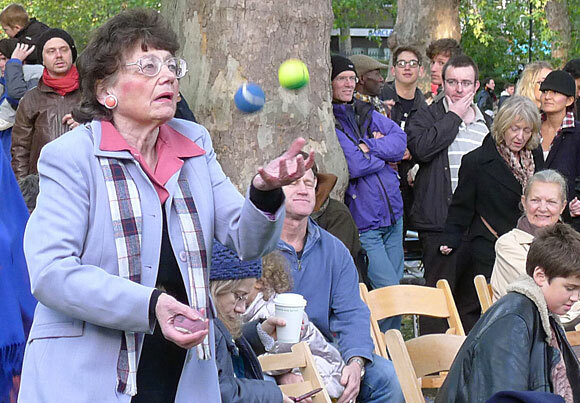 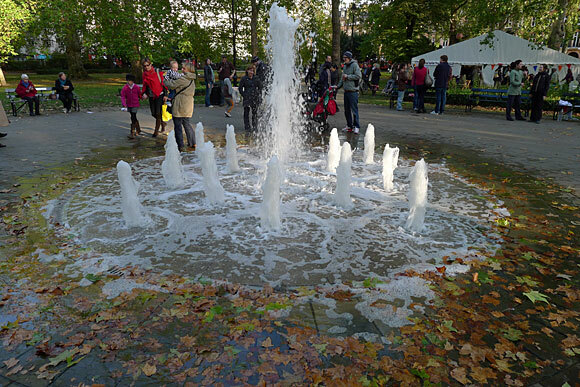 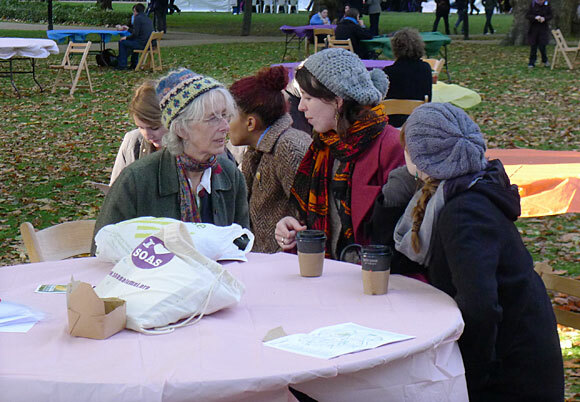 The festival takes place over several locations, but here's some photos from the event at Russell Square Gardens. 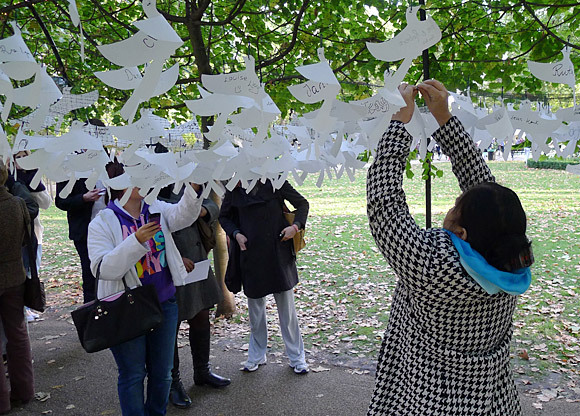 Writing names and messages on the paper birds. 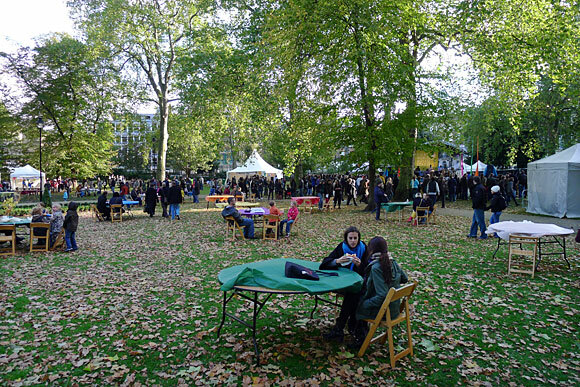 Autumnal scene in Russell Square gardens. 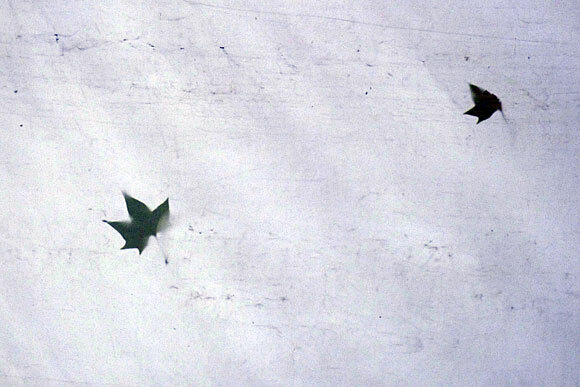 Autumn leaves on the tent roof. 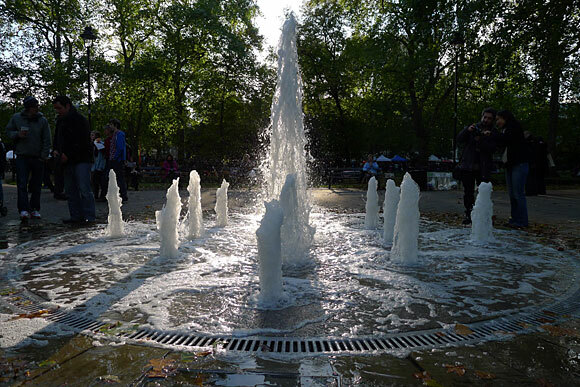 The fountain, backlit by a low sun. 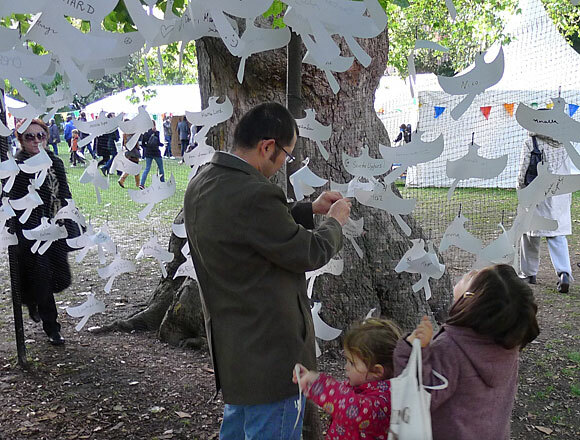 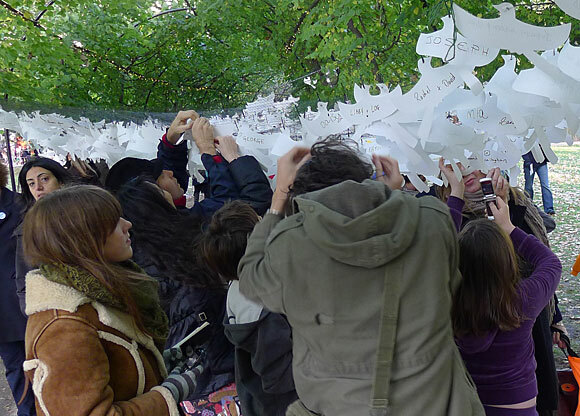 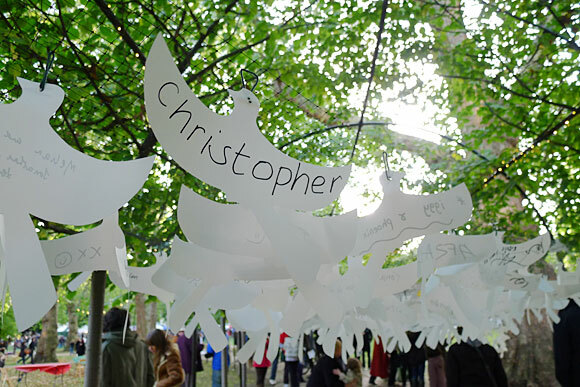 Back to the paper birds which proved very popular! 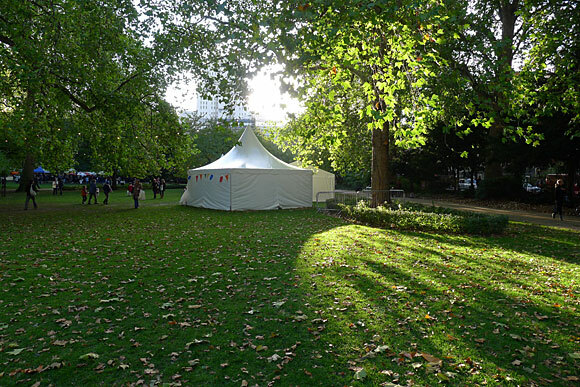 Marquee against a late afternoon sun. 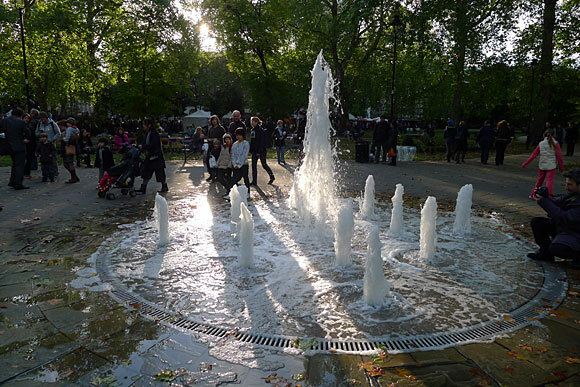 A last look at Russell Square.